The Justin Trudeau Liberal government is taking the Canadian Human Rights Tribunal to Federal Court over a ruling last month that linked the suicide deaths in a northern Ontario First Nation with Ottawa’s inaction on implementing total equity in health care delivery for Indigenous children. Indigenous Affairs Minister Carolyn Bennett and Health Minister Jane Philpott issued a joint statement Friday saying the tribunal’s May 26 ruling contained two issues that they, as medical doctors, could not allow to stand and needed clarification from the Federal Court. “Our views on this are informed by our past experiences,” said Philpott, in an interview Friday morning. The ministers took issue with the tribunal’s order that all Jordan’s Principle cases be processed within 48 hours and that the federal departments do away with case conferencing, which it saw as an unnecessary and additional administrative layer. Under Jordan’s Principle, the health care needs of First Nations children are placed ahead of jurisdictional disputes between the federal and provincial governments. It also applies to other public services, including education, early childhood learning and child welfare. 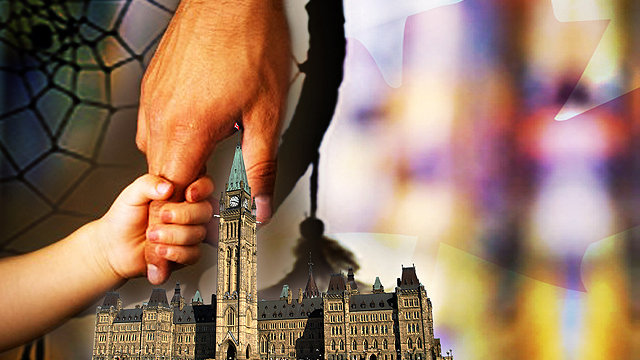 The Human Rights Tribunal ruled last year that Ottawa discriminated against First Nation children by underfunding child welfare services on reserve and by failing to provide health care services on par with the rest of the country. The Trudeau Liberals have spent at least $707,000 fighting the tribunal’s order, according to numbers obtained by NDP MP Charlie Angus through an Order Paper question. The previous administration of Stephen Harper went to Federal Court in a failed bid to have the discrimination case, which was filed in 2007, dismissed. Since the 2016 ruling, the tribunal has issued three compliance orders against the Trudeau Liberals over the slow pace of its required changes. Philpott said that while the tribunal’s orders were generally sound, the potential exceptions created too much of a health care risk and forced her government to take the issue to Federal Court. Philpott said there are some complex cases where 48 hours is just not enough time to get the health care treatment right. Cindy Blackstock, head of the First Nation Child and Family Caring Society, said Philpott and Bennett resorted to a “technical argument” aimed at undermining the tribunal’s orders and ruling. Blackstock said the only physician to file an affidavit was from Dr. Michael Kirlew, who works out of Sioux Lookout, Ont. 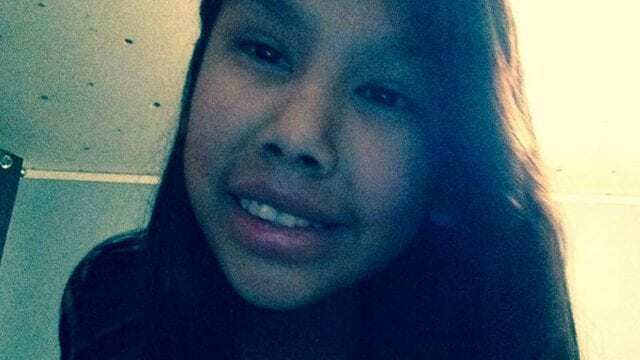 Kirlew, who provides health care to northern First Nations, linked Ottawa’s failure to fully comply with the tribunal’s order with two suicide deaths of 12-year-old girls in Wapekeka First Nation this past January. Another 12-year-old girl died by suicide last week in the community. “Canada did not challenge Dr. Kirlew’s evidence,” said Blackstock. 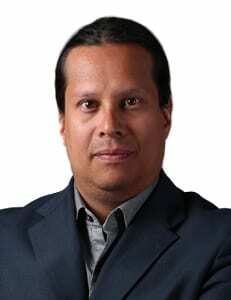 NDP MP Romeo Saganash said he was “disgusted” by the move to take the issue to Federal Court. Health Canada received an urgent request for help from Wapekeka last summer after community members uncovered a suicide pact. Health Canada officials initially balked at the request. The tribunal, in its May 26 ruling, also made the connection. “While Canada provided assistance once the Wapekeka suicides occurred, the flaws in the Jordan’s Principle process left any chance of preventing the Wapekeka tragedy unaddressed and the tragic events only triggered a reactive response to then provide services,” said the tribunal’s ruling at the time. Philpott said the tribunal made a “factual error in the decision” because it said there was a “refusal to provide funding” to the community. “That funding was never refused,” said Philpott. Philpott said linking the two issues was also an oversimplification. Philpott said federal officials have identified 8,800 Jordan’s Principle cases to date. The land was clean and rich with culture. Our ancestors made a friendship with the first settlers,Dutch people. Not the French or English we just fought in there dispute,which I’m sure helped the modern Canada become. The devastation is evident, I’m sure everyone knows,but care? That has never been the goal to preserve us as a people. Countless horror story’s commited by clergymen in the name of integrating so called savages. Now to the point where one foot in the canoe and one on the ship. Our own so called government on reservations bowing down to powers that be selling out and leading the way for apples or whatever you want to call as a disgrace to our people. Bottom line we will take back for the children to come what is and always will be my religion , my mother , all of our mother. The settlers use our ways and medicine to survive. Where things went askew were the Jesuit order to meme our people to total destruction. We are still here by will of the great spirit and will continue on with or without money or the fact that lies are still lies a Jesuits religion. Skennen, good mind. We are all apart of creation. Honor one another as such. A family . The Tribunal should be thinking of how First Nations are going to achieve the 5 necessities of life. 1) food 2) shelter 3) warmth 4) self-esteem 5)the esteem of others. Only thing elders, chiefs, and community leaders can provide the last 2 necessities. If they are lacking, humans die from suicide. The Tribunal is not providing any esteem, they would rather blame anyone but themselves. The Tribunal is hurting the cause they say they are supporting. Have they considered the role that religion usually plays in these matters? Suicide pacts occur in a spiritual vacuum in all societies. Religion or spirituality? There are lots of churches on First Nation lands. Not sure why you think simple prayer is the answer. Even if it was the answer, the damage Christianity has done has made people scared of it. You know who ran the residential schools don’t you? You know who abused those children don’t you? You asked earlier what spituality they have of their own. Look at the 7 sacred teachings. You don’t need media to educate you. You need to pick up a book or 2 or just search the web. Mr. Philpot, “deep social injustices, intergenerational trauma, so much inequity” will not be changed without resources (money) being assigned (spent) to the task. If it is less expensive in the long to solve those problems than to bandage up the wounds created by them, please solve the problems. The ruling creates an incentive. But do not neglect the wounds, or the problems will become more intractable. Your constituents have the resources because their ancestors stole them. Returning some of them is less than the least you can do. like so many “legal” cases this article doesn’t give all of the pertinent facts…but having said that, the obscene amount of money Trudeau’s Liberals are spending to fight this ruling could go a long way to give needed help to all First Nations people. It is true that the issues are systemic and deep rooted which makes it all the more necessary to have all facts and an unbiased article on these facts. But “resources” which often means money, do have to be allocated to address these deep ingrained systemic issues. Trudeau’s Liberals are avoiding their responsibility to our First Nations people..
You are getting close to an understanding of the issue. OMG and he expects Canadians to celebrate 150 years of oppression? It is nothing more than a distraction, an attempt to brainwash Canadians into thinking everything is great and wonderful in Canada. Shame on him. What goes around comes around! Absolutely appalling that they would flight this. Come on Justin. Sick and Hungry children deserve better.By fighting this,these children will have to wait even longer.A HUMAN RIGHTS VIOLATION.YOU ARE RESPONSIBLE JUSTIN.I DON’T CARE WHAT YOUR CREW IS TELLING YOU.THIS IS THE KIND OF CRAP YPU YOU WERE SUPPOSED TO PUT A STOP TO.MAN UP JUSTIN. Hey, Justin, how about just providing them with the health care you’re supposed to provide them with, instead of fighting it? And while you’re at it, where’s the clean water supplies you promised to the reserves while you were campaigning? They are still under boil-water orders. At the very least, stop doubling down and avoiding the compliance orders. PEOPLE ARE DYING!!!!!!! What’s the matter with you??? He should have his own health care and clean water withheld until he complies. The hypocrisy of the reincarnated Harper, i.e. Justin “lying” Trudeau is appalling. Indians have full access to every service the rest of us have just not available in remote areas If they want services move to Winnipeg where everything is on hand. Don’t expect working Canadians tax dollars to be spent up there. You can’t have equal excess to school,healthcare ,libraries and so on when you live in remote communities. Move down to Winnipeg if you want these type of services. Never had them up north nor should we. I guess a 12 yr old life means very little to those in power to act quicker,solving issues surrounding the question why! Why,is a 12 yr old child in such a state of mind to kill herself.Just Wondering if the child belonged to one of those in power to act,if action would be immediately. What religion are the young suicidal people being taught? Canada’s largest ongoing welfare entity!!!! What a disgrace!! If the first Nation people were moslem, Trudeau would be all over it. Utterly disgusting!!! What happened to reconciliation? Do they even know what the word means? All BS as usual. Spending more money to fight Children. CHILDREN!!! So blatantly racist and unjust. It is racist to blame a person or government for racism unless you have proof, which you don’t. Jesus said to remove the lumber from your own eye before mentioning the toothpick in your neighbor’s. What religion are these First Nations? I don’t think anyone understands reconciliation because there is nothing to learn there, unless you enjoy politics. Parents are responsible for raising the next generation, not governments. First Nations parents too. What religion and morals are these children encouraged to embrace? Why won’t th media tell us about their religious and moral teachings? Maybe Christian ears would be offended?? We simply do not know the relevant facts, the media keeps the information secret. Good luck and try not to worry about media items that anger and confuse us. Try prayer, perhaps. Same rules for ALLLLLLLLLLL Canadians !!!!!!!!!!!!!!!!!!!!!!!!!!!!!!!!!!!!!! Such a shame fighting over blame & ownership of the continual lack of what is needed for the peoples of this country. Instead of spending millions of dollars to bring in supposed refugees why are our governing bodies not fixing our issues before adding more problems for this country? What did this tribunal cost? What do Philpott and Bennett earn and what does JT rake in? The 707,000 is a drop in the bucket…shame on these tools that Canadian taxpayers pay to “improve” the quality of our lives. Shame on them all! It would be absolutely fantastic if the indigenous people of this country would stop blaming everyone for their issues. Be self sufficient. Solve your issues. Money doesn’t fix everything. If there is a problem on a reserve, gather your people and solve the issue. You have a strong holistic culture; I am confident you can solve your own issues. Very interesting story, I hope it gets picked up by mainstream media. I don’t like the fact that it’s going to Federal Court, it is a court that is too close to the government. They could try to dilute the clear conclusions of the tribunal. Worrying situation. The Tribunal is probably on salaries. I don’t trust them. I think they are contributing to the problem, and fostering racism. It’s high time that KANATA’S people take a stand and stop the KHANADIZATION of their LANDS by an occupying MUTT RACE and those who continue to further MUTTIFY IT! SAD THAT NATIVE APPLES HAVE GONE ROGUE TO GO THE WAY OF POWER AND CORRUPTION THAT HAVE POLLUTED NATIVE LANDS AND DESECRATED LAWFUL TREATY RIGHTS!!! IT’S NEVER TOO LATE TO RIGHT WRONGS—-KEEP RIGHTING!!!! P.S. I’m a WHITE MUTT!!! Doe’s the Prime Ministers nose !!! More shameless behavior from Mr. No Change Trudeau. So doe’s the Prime Minister’s nose ! Whatever files the Trudope Liberal regime touch, they end up in disaster. This is due to the incompetence of an undereducated regime and affirmative action gone wrong. Few in Trudumb’s cabinet have any relative education or experience to execute their portfolios. A kindergarten class would be moe skilled and competent. Expect more disasters. Please leave the link to the joint statement please so that readers can be informed. Tribunals and commissions cost yet despite the billions spent on a national reconciliation the social outcome is only beginning to reveal the outcome of social and institutional neglect the First People have been experiencing since the arrival of the Colonists. The Liberal government’s response to a Human Rights group that stands up for children who are at risk is both disturbing and questionable. Too many Indigenous women, men and youth have been murdered or are missing to worry what any of these governments say or do. How many mistakes and how many apologies before The First People begin to take up what was not taken away, the right to live according to the Indigenous way of life “for as long as the sun shines, the grass grows green and the rivers flow” as the Ancestors of this land agreed. These agreements were based in ‘Natural Law’ according to this land and not upon ‘The Rule of Law’ of which traditional customary treaty signers had no knowledge. Imposing this ‘rule of law’ where it has no legal jurisdiction may be a problem as well as in any jurisdiction where trilateral agreements are being used to undermermine Indigenous rights in Canada.